For many Americans, saving enough for retirement is a major financial challenge. But some have the opposite problem: They get so fixated on the process that they save more than they need to. Although piling up “too much money” for retirement might sound impossible, advisors say it happens — and can have unintended consequences. Clients who lean toward overpreparedness need help just as badly as those who aren’t saving enough, according to wealth managers familiar with the phenomenon. Pietroburgo recalls working with a couple whose different attitudes toward saving caused conflict. The husband, worried about having enough to retire on, was excessively frugal. His wife pined for a long-postponed and entirely affordable vacation. In situations like these, Pietroburgo says she tries to help clients understand the roots of their anxiety. For example, she discovered through patient questioning that another client was scared of winding up like his parents, whose post-retirement finances cycled through booms and busts. Indeed, says Allison Berger, a planner with Raleigh, N.C.-based Financial Symmetry, which has $186 million under management, clients who fixate on building enormous retirement accounts usually do so because they’re afraid of market downturns. In Berger’s experience, charts showing long-term historical trends are unlikely to change these clients’ minds. Instead, she says, it may make sense for advisors simply to indulge their conservatism. She has seen clients keep building a nest egg even though they can expect to live on income from a generous pension. Others have saved so much that even the most generous withdrawal rates will leave them with a huge balance late in life. The issue is “just as important to flag as overspending,” Berger declares. 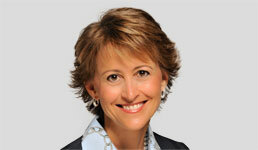 When Berger sees the warnings signs of oversaving, she approaches the topic with care. “I won’t come out and tell clients they have too much money,” she says, adding that clients rarely bring the problem up on their own. She frames the discussion as a question of long-term choices, asking which they would prefer: upgrading their current lifestyle or leaving an inheritance for children and grandchildren.